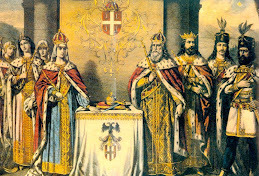 Aleksandra’s Note: “The Serbs - The Guardians of the Gate” by R.G.D. 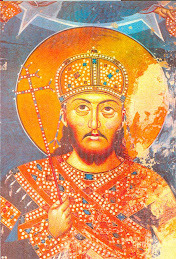 Laffan is an old, wonderful book that documents the views of a Briton on the Serbians. Originally published in England in 1918, the book was also published in 1989 in the United States by Dorset Press, New York, a division of Marboro Books Corporation. The 1989 publication, which was given to me as a gift by the late Professor Alex Dragnich in 1994, does not contain the original Foreword written by Vice-Admiral E. T. Troubridge, C.B., C.M.G. that was included in the 1918 publication. I wanted to include that Foreword by E.T. Troubridge here. 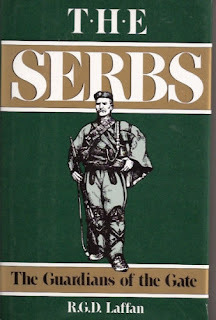 In researching the history of the Serbians, the “old” books, now often out of print but still available if you search for them, are invaluable. Given the particularly volatile relationship the Serbs have had with the British over the years, it’s important to consider just how highly the Brits regarded the Serbs BEFORE the poison of Communism and political expediency entered into and compromised that relationship. R.G.D. Laffan was one of several Britons who publicly shared their experiences with the Serbs in World War One and documented them in print. I’m very grateful that they did so, because what they had to say was from the heart and reflects an image of the Serbians as the people and the heroes that they really were. BY R. G. D. LAFFAN, C.F. WITH A FOREWORD BY VICE-ADMIRAL E. T. TROUBRIDGE C.B., C.M.G. 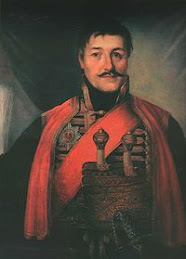 "The Serbians are a people but little known in Great Britain. This extremely interesting book by the Rev. R. G. D, Laffan, C.F. will, I am confident, help our nation to understand them better, and, in understanding, to appreciate the sterling qualities that underlie their national character. 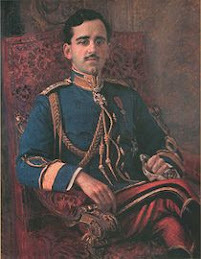 I have lived among the Serbians during the past three years, in days, and under circumstances, which encourage the revelation of every human attribute: in the days immediately following their first success, when they triumphantly flung out of Serbia the 'Punitive expedition' of their powerful neighbour and relentless enemy: in long and weary days of tenacious defence: in the days of overwhelming and treacherous attack upon them, with hope of succour growing less and less: in days of terrible marches in a fighting retreat through their beloved country under moral and physical conditions surely never paralleled in the history of any nation: in the days of regeneration of all that was left of them: and finally in days of eager and reckless fighting to regain that which they had lost. The qualities which they have displayed throughout these fateful years should especially appeal to the inhabitants of our Empire. A love of freedom and country as deeply implanted as our own. A loyalty to friends that does not falter under the greatest temptation, and a chivalry so innate that hundreds of our countrywomen could walk hundreds of miles through a great army in a harassed retreat, through a fleeing peasantry in a disorganized and strange land, and yet fear no evil. Great Britain in the closest ties of friendship, and once more — as for centuries past — holding the gate of freedom of life, of freedom of thought, against the sinister forces of moral enslavement. 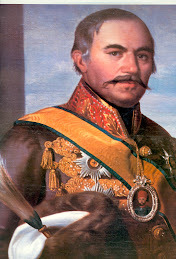 Serbia has indeed well and bravely answered the great question He asked: 'What shall it profit a man if he gain the whole world and lose his own soul?'" 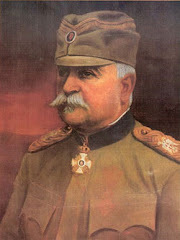 "To pass away the winter evenings in the early months of 1917 I gave a series of lectures on modern Serbian history to the scattered companies of the A.S.C. (M.T. 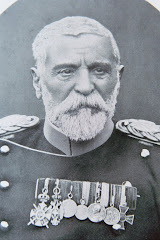 ), who are attached to the Serbian Army. Many of the men of the companies showed great interest in the subject, and, as we approached the end of the course, a number of them asked me to publish the lectures. So I have written the following chapters from the lecture-notes, intending them primarily as a souvenir for those who are now with the Serbs, but also in the hope that they may serve to spread sympathy for our heroic but little-known allies. 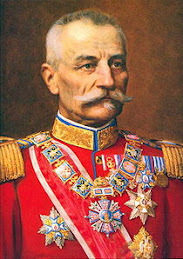 The title, “The Guardians of the Gate”, is borrowed from a phrase applied to the Serbs by several speakers, in particular by Mr. Lloyd George [British Prime Minister] in his speech on August 8. 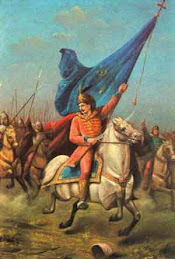 It is a summary of the services which the Serbs have always done their best to render to Christendom : for their country is, indeed, one of the gateways of civilized Europe. Despite their unhappy divisions and their weakness in numbers they have never ceased to struggle against the barbarisms of Turkestan and Berlin, which at different times have threatened to overflow the Western nations and the Mediterranean lands. The lectures did not attempt a detailed survey of even recent years, and their publication may seem superfluous in view of the number of books lately produced on Balkan topics. Yet attention in England has been so largely and naturally directed to the west of Europe and to Russia that it is still possible to encounter the most complete ignorance of the Eastern Question. There are many who have a working knowledge of the great nations of Europe who still could scarcely distinguish between a Sandjak and a Dardanelle, or say off-hand whether the Balkan peoples were Christians or worshippers of Mumbo Jumbo. And the history of south- eastern Europe in the present century is so obscure in its details that there is much excuse for those who could not be bothered to understand it. Yet the vital interests of the British Empire are so bound up with the Near East that every effort should be made to present British readers with facts on which an opinion may be based. Not that it is yet possible to write the history of such recent years or of so complicated a subject with the scientific and impartial accuracy of the true historian. For that we must wait until the dust of conflict has cleared and the passions of the moment have subsided. Meanwhile, these lectures are offered as a provisional and tentative examination of the triumphs, disasters, and ambitions of the Serbs. 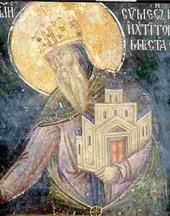 The chief difficulty in the way of gathering historical material during a campaign in the uplands of Macedonia consists in the lack of books. Especially has this been true of books giving the views of our enemies. 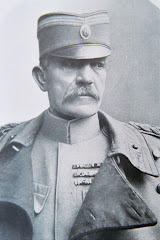 However, I have read everything upon which I could lay my hands, and the lack of printed matter has been perhaps, to some extent, balanced by the advantage of meeting with and questioning numerous Serbian officers and others who know the Balkans well..."
"When we arrived at Salonika last summer, most of us were entirely ignorant of the Balkan peninsula. Since then we have lived and worked in Macedonia, and I believe that you have formed no very high opinion of the country; which is not surprising when we remember that it has been the most troubled and insecure part of the Balkans for the last forty years. We are still more than vague about the inhabitants, the states, the economic condition and the history of the peninsula. But one thing we have all learned. We have been in close touch with the Serbian soldier, and we admire and love him. He has been a revelation to us of the charm of a people very unlike ourselves. In the past most Englishmen, who have spoken to me about the Balkans, have expressed very decided views. 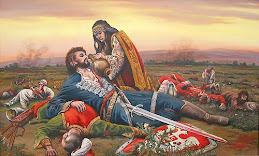 Nine out of ten have said that all the Balkan nations were as bad as each other; that, as between Turks and Christians, it was six of one and half-a-dozen of the other; that all were savages and cut-throats and past praying for. 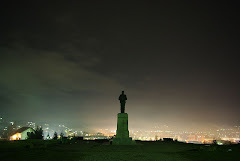 The tenth man has usually been a philanthropic crank, who would only see good points in his own pet Balkan nation, and who wished to make it by industrialization and party politics into an imitation of Great Britain. Now, when we return to England, we shall, at any rate, be in a position to declare that we found one Balkan race, the Serbs, to consist of the best of fellows. Our companies have had Serbs attached to them, as guards or drivers, and very sorry we were when they were withdrawn. Though most of us could not say anything to them except 'Dobro' (‘Good’), we managed to understand them, and to make ourselves understood. They were always cheerful, kindly, helpful, with a skill in many handicrafts that made camp-life more comfortable for themselves and us. And I think we may flatter ourselves that they liked us and our ways, and found the British character sympathetic with their own. 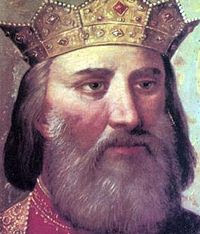 …It will be necessary throughout to remember that the Serbs look back with pride to the great days of their independence in the Middle Ages, and to their empire which once embraced the whole Balkan peninsula, except southern Greece and the coast-towns. They were a great people six hundred years ago. Never have they been more glorious than in their present humiliation, exile, and disruption. But, please God, that spiritual glory which encircles them to-day will soon be expressed in the 'outward and visible signs' of material greatness, and they will again take their place among the mighty nations of the earth." 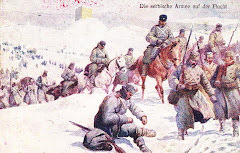 "The Serbs - The Guardians of the Gate"